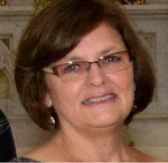 Valerie Brooke, M.Ed has been a faculty member at Virginia Commonwealth University (VCU) and working in the field of employment for individuals with significant disabilities for over thirty years. Ms. Brooke is the Project Director for the RRTC on Employer Practices, Director of Training for the VCU Autism Center of Excellence and Directs a CARF accredited Employment Support Organization based at VCU. On January, 2015 Ms. Brooke was appointed to the Advisory Committee on Increasing Competitive Integrated Employment for Individuals with Disabilities (ACICIEID) by the United States Secretary of Labor, as a provision of the Workforce Innovation and Opportunity Act (WIOA) and served until August, 2016. The committee made recommendations on ways to increase opportunities for integrated competitive employment for individuals with disabilities including ways to improve the oversight of the certificate program under section 14(c) of the Fair Labor Standards Act. The Advisory Committee completed their appointment when the final report was submitted to Congress on September 15, 2016. In addition, Ms. Brooke has served on the Editorial Board for the Journal of Vocational Rehabilitation since 2000 and is interested in all issues and concerns which impacts the employment rate and advancement of people with disabilities. She is a frequent speaker, consultant, and author of numerous book chapters, journal articles, newsletters, and briefing papers. Lead trainer for Veterans Outreach Center, Rochester, NY, improving employment outcomes for homeless and veterans with disabilities, June, 2009. Self Employment BOOT (2-day training) for homeless and veterans with disabilities interested in developing self employment, Chicago, IL, May, 2009. Lead Facilitator for National Rural Employment Summit hosted by West VA Department of Rehabilitation Services and supported by CSAVR, Pennsylvania OVR and Maryland DORS, May, 2008. Presentation to Venango County MH/MR Services Broad, families and employers on employment best practices for employment of people with disabilities. March, 2008.